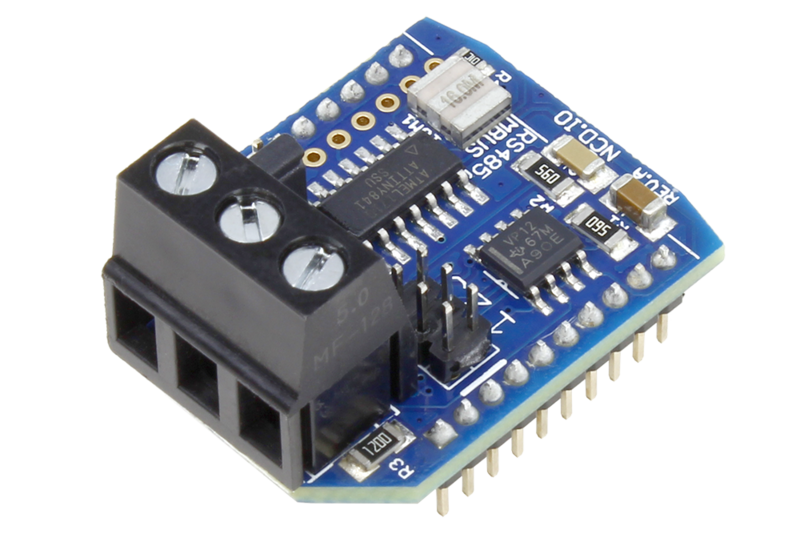 I’ve bought one of your RS-485 nodes thinking I could use it for communications between a board with an XBee header and a remote MODBUS master. After looking at the product page again, I see it uses a custom protocol called E3C to communicate and route messages. Although this looks great, I don’t want to use E3C. Is there any way for me to use this to send MODBUS messages over RS-485? Ideally I would send a modbus packet over USART to this device and it would send the message out over RS-485, similar to if I had just hooked up a transceiver. Yes, you can use it with MODBUS commands as well. In your case it will simply act like UART to RS485 converter. I’m not sure what the baud rate will be. Can I send a command to it at 9600 baud and it will relay the command at 9600 baud? From the directions it looks like I need to set it to factory default, then send a command at 57600, which would be relayed at 9600. Is that right? default RS485 baud rate is 9600 and UART is 57600.
so from RS485 source needs to send data at 9600 and it will transfer the data to uart at 57600.
when uart data back to rs485.